Join me for an INSPIRING and INFORMATIVE day of retreat that will guide you through the maze of opportunities, choices and dilemmas that face women in our society. “Women Empowered: Living a Life With Meaning” is suitable for women of any age and walk of life. We’ll be tapping into our inner strengths, values and what creates meaning in our lives to identify the ways each of us can bring unique leadership to our families, work places and the wider community. You will develop a deeper sense of your own value and identify purpose-driven pathways into your future as you live a life with meaning. The day is suitable for PROFESSIONAL DEVELOPMENT as well as PERSONAL DEVELOPMENT. Come along knowing that your workplace, friends, family and the wider community will all share the benefits of your participation. The JOHN WALLIS FOUNDATION has generously supported this event through the provision of a grant so your financial outlay is only $20! Where else do you get such great value for so little expense! Who: All women with an interest in developing their personal or professional leadership qualities in formal and informal roles in their families, workplaces or the wider community. 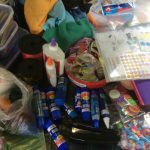 Condamine Assist’s Kathryn Walton is adamant about the benefits of “Women Empowered”, a series of retreat-style workshops offered to women in small groups within their communities. Kathryn brings a unique blend of enthusiasm, compassion, knowledge and skills to offer women an experience of self-awareness, insight and hopefulness. Activities during the retreat included mindfulness-based practices and reflective activities interwoven with information and discussion sessions. Feedback highlighted that Women Empowered successfully informed and supported the participants in a genuinely caring, safe and warm atmosphere. 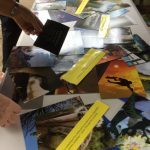 Following the pilot project, a further series of Women Empowered Retreat Days was facilitated by Kathryn and Janine in 2014 for the communities of Warwick, Maryvale and Emu Vale. 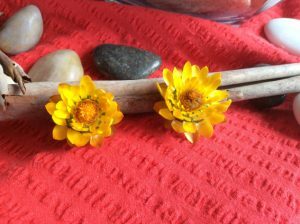 Participation and feedback from the women involved in the retreats once again reflected the beneficial nature of this style of program for women. 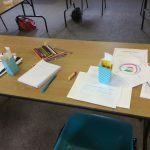 In early 2016 Kathryn offered a Women Empowered Retreat Day in Killarney with a focus on creative and expressive arts to explore the topic “Me, Myself and I”. 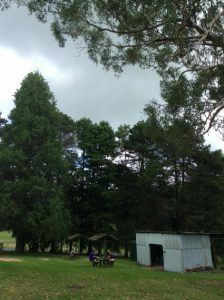 The combination of reflective and creative activities in the tranquil surrounds enabled new insights into self care and role identity for participants. Responding to community feedback, further Women Empowered Retreat Days will be offered in the future with a focus on various aspects of life relevant to women in our society. The next Women Empowered event is “Living a Life With Meaning” to be held in Warwick on Thursday 15th September 2016. What’s the Deal With Exercise? We all know that exercise is generally a good thing we can do for ourselves. Exercise is clearly linked with reduced risk to many health problems, including mental health, and this is where my interest especially lies. Over many years our society has gradually developed a more sedentary lifestyle. Our work, home, transport, leisure and play have all become less physically demanding as technology and industry have changed. While our parents, grandparents, great grandparents (and maybe even ourselves!) once spent hours physically kneading bread, beating butter and sugar together with a wooden spoon, digging holes and levelling ground by hand, sweeping the footpath with a broom, chasing each other in an after-school game of tiggy or helping to round up the chooks and cows, we are now much more reliant on our time and energy-saving devices to do the hard work for us or to entertain us. Imagine living hundreds and thousands of years ago – people were even more active in these times, hunting and gathering food on a daily basis, building and re-building shelters at frequent intervals, tuned into their environments ready to fight, flight or freeze as the need arose. Yes! That thing we now call “anxiety” had a well-defined purpose for basic survival! What is the ‘right’ way to exercise? When we commit to improving our health, whether it’s for our own sake or for the love of our family and community, we might feel pressured to exercise in ‘the right way’. There are lots of conflicting messages out there about what is the best form of exercise, the right time to exercise, and how much exercise we should be doing. But let’s make one thing clear – doing something is better than nothing. We know the evidence says we need to be active, and throughout history human physical activity has taken all sorts of forms from basic survival activities (eg hunting, gathering, migrating, running / swimming / climbing from danger) to physically demanding farming and home management activities (horse-riding, fencing, digging, baking, washing) to a myriad of options we now have before us. We could, theoretically, choose any of the above activities, but now we also get to include walking / riding on specially constructed paths, swimming at the heated pool, gym programs, fitness classes, weight lifting, team sports, dance classes, adventure-based holidays, and the list goes on! With so many options before us, we might seem spoiled for choice. There really is something for everyone whether you prefer to exercise in a group or alone, compete or engage in recreational pursuits, spend lots of money on the latest equipment / clothing / memberships or exercise at no or low cost. There are even more excuses for NOT exercising – more about that in a future blog! So, how much exercise do we need? doing any physical activity is better than none! Exercise vs activity – what are my choices? 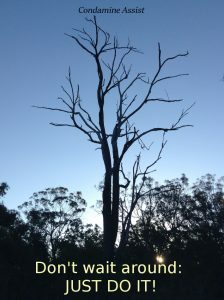 INSPIRE combines the warmth, reflection and connection of Condamine Assist’s much-loved retreat days with the essential elements of a skills training program to provide you with support and guidance as you journey towards your professional or personal goals. FREE start-up sessions are being offered for a limited time. 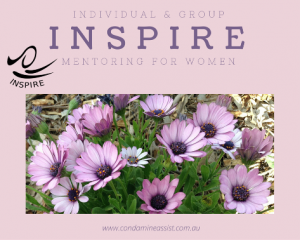 Find out how INSPIRE Group and Individual Mentoring Programs for Women can guide and support you as you work towards change or growth in your work or personal life. Contact Kathryn (kwalton@condamineassist.com.au) to arrange a FREE 45 minute start-up session for yourself or a small group of friends. What format and structure does INSPIRE use? You will be provided with inspiring and enlightening pre-session preparation material so that you get the most out of the face-to-face sessions. Your post-session reflections and action-based tasks will bring your goals closer to your reality. A private online discussion group will be available to you and other members of your group program so that you can keep the conversations and inspiration rolling along between sessions. You will have access to individual online support with your facilitator, Kathryn Walton, for the duration of the program. The time and energy you commit to INSPIRE: Now has the power! is in itself an empowering investment in yourself and your future. Your commitment includes 6 hours of face-to-face mentoring, pre-session preparation, post-session activities, and private group and individual online support over a 2 month period. And what an amazing investment that will be in your personal and work life as you literally begin living the reality of your goals! To celebrate the launch of INSPIRE, a special rate is being offered. Your financial commitment to this inaugural program is only $290. This is a unique opportunity to engage in an inspiring and empowering program that is valued at over $490. (And an added bonus is that you may be able to claim professional development points for work-related mentoring, as well as claim expenses against your income for tax purposes – check with your employer, association and / or tax accountant). If you have a keen commitment to ongoing growth and development you may choose to follow up with the subsequent program INSPIRE: Into the future! which will take you further on your journey of exploration, resilience-building, sustainability and inspiration. How does individual mentoring work? Individual mentoring is available as an alternative to the group programs. Individual programs are uniquely tailored to meet your particular need. A regular commitment to face-to-face sessions, pre-session preparation, post-session activities and online interaction will maximise the benefits for you over a minimum period of 2 months. How do I find out more, sign up for a free start-up session for myself or a small group of friends, or register my interest? If any of the above information sparks your interest, send Kathryn an email kwalton@condamineassist.com.au or phone 07-46670171. Remember that limited free start-up sessions are available to give you and / or a small group of your friends a taste of INSPIRE before making a full commitment. I’d love to hear from you. Please share this information among your friends and colleagues who may be interested in this opportunity. Aaagh! It’s that voice in my head again! I have a secret to share. One that has stayed hidden inside most of my life yet it has wielded power and control over the decisions I make everyday. My secret is about the voice I hear in my head that narrates just about everything I do. It influences my mood, my attitudes, my thoughts and my actions. It’s always there and it seems that when I’m feeling particularly stressed, anxious, upset or simply tired, my inner voice turns its volume to full blast. I know I’m not the only one to experience stress, anxiety, tiredness, busy-ness and uncertainty at different times in my life. For students it might be at exam time, for parents it could be in the evenings or in the lead-up to Christmas, for athletes it could be during a particularly rigorous training regime, and for all of us it can happen in the normal course of our day. Most people I’ve spoken to admit to hearing sneaky, confidence-destroying voices like the one I get in my head from time to time. It’s the voice of past experiences, insecurities, fears, lack of self-confidence and overwhelming self-doubt. But I ask you, do you always believe everything that everybody tells you? Of course not! Then why do we get sucked into believing that sneaky, invisible inner voice? The reason can be found in repetition – one of the simplest and most effective forms of learning (and marketing). 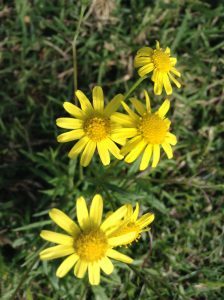 From my childhood I still hear the little ditties from TV advertising such as “Slip Slop Slap”, “Life, Be in it” and “You’re soaking in it!” In the same way when we hear our internal voice repeatedly giving us the same message, it tends to stick. Subconsciously we look for the evidence to back it up, and that further convinces us it’s telling the truth! My challenge to each of you today is to create or adopt a new slogan, or a mantra, for yourself – one that’s constructive, inspiring, energising and motivating. By tapping into your own internal well of wisdom you may discover a mantra that is helpful for you right now. Or your mantra might quietly make its way into your consciousness through meditation, reflection or while you’re engaged in a flowing activity like painting, cycling, or swimming. Your mantra might surprise you quite unexpectedly whilst reading a book of fiction, poetry or a sacred book, or while you’re listening to a song (I just love the words in that song Helen Reddy sang “I am woman hear me roar…….. I am strong, I am invincible” – click the link at the end of the page to watch and listen to a live version! ); or you might adopt the words you hear spoken by a friend or a stranger. You’ll know you’ve discovered a personal mantra when the words strike a chord in your heart that has meaning that only you can truly know. It’s likely that you’ll uncover many different mantras over time, each one suited to a particular time or situation. Mantras can be very powerful tools to change your inner dialogue, especially if you consciously look for the evidence to back them up. One of my personal favourite mantras also happens to be Nike’s slogan “Just do it”. I can choose to consciously listen to myself saying “Just do it” when I need that bit of extra focus and motivation to get on with a task regardless of how I’m feeling. Another of my favourites is “A little bit is better than nothing”. As a natural perfectionist, every day can be challenging when there’s simply not enough time to do everything that I want to do at the standard I want to do it. Half an hour at the pool between client sessions is better than nothing. A ride on the exercise bike in wet weather is better than no ride at all. Be sure to empower your new inner voice by giving it plenty of airtime and nurturing it with kind words and attention. Turn it up full blast when you most need it. Stay patient, and give it space to do its job of inspiring and empowering not only yourself, but also others around you!